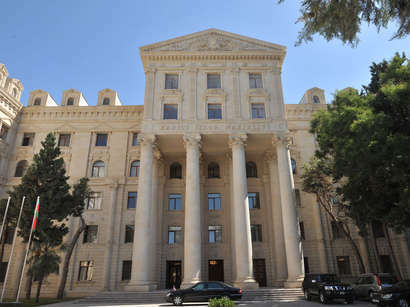 The Armenian Foreign Minister Vardan Oskanian announced that the next meeting of the Azerbaijani and Armenian Foreign Ministers will be held in Brussels on 14 November, Trend reports citing Radio Liberty. He noted that at present there is no reason for the Presidents of Azerbaijan and Armenia to meet. "The meeting with the Azerbaijani Foreign Minister in Brussels on 14 November will decide whether a meeting by the Presidents will be necessary. Oskanian described the Paris meeting as "normal and constructive". "I cannot say that there were any specific points of discussion, but we covered topics of mutual interest and new principles that were proposed during the Moscow meeting, Oskanian stated. He also underlined that the principles were discussed during a visit to Nagorno-Karabakh, where they succeeded in reaching common ground on certain principles.